Summer is winding down from the piercing white light and stifling humid heat to cooler blue grey rain with occasional cold, if it can be said Brisbane ever really gets cold. Autumn is here. The colours change. There are fewer creatures to shoot but the ones there are also slow down with the temperature, as I do. It’s a seasonal thing, everything is. The Dragon, herald of change and action, came and went according to its season, is still here in lesser numbers and no less beautiful. The Grasshopper, local symbol of success in leaps and bounds, filled the gap between the waves of Dragons. And Flies, Caterpillars, Moths, Wasps, Flowers and Spiders all take their place in the multidimensional sense of my life. There is a time to move and a time to stay, a time for yes and a time for nay. Who knows which is which till its done? Not I. For sure. Though I see it coming, inside, where it hasn’t taken form just yet. Nonsense to some I know, but not to me. Everything has its season, even the unknown, the invisible. You see? Flood, storm, rain or shine. On the black screen of mind. Whatever may be. 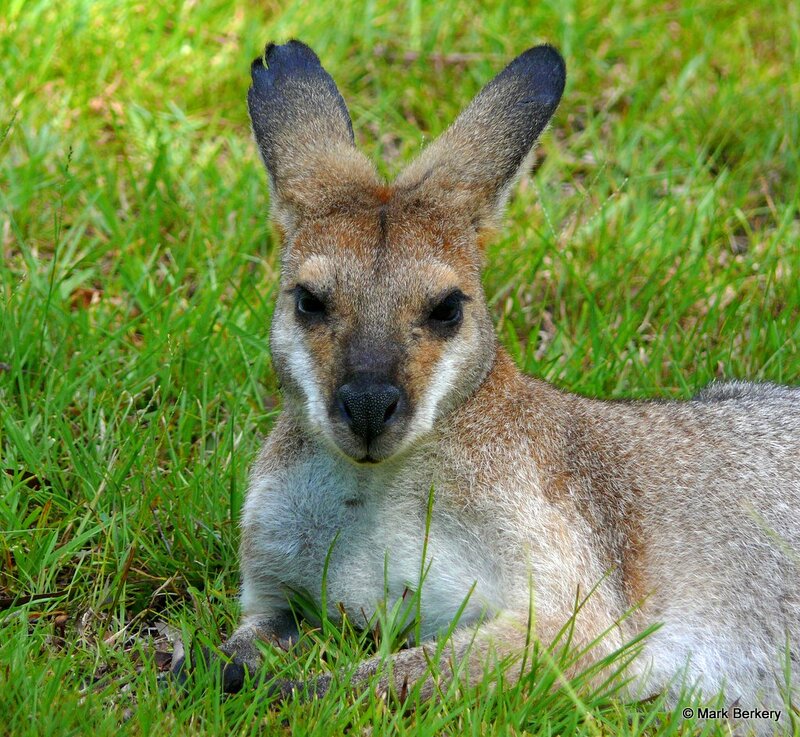 I’ve never seen a pensive kangaroo. As a matter of fact, the only kangaroo I’ve ever seen was in a zoo where it must be hard to be yourself. Here mockingbirds sing in the early morning hours heralding spring. Birds that have spent the winter with us wing north. Wildlife congregated in pools of water during our dry season spread out as the rains revisit us. There’s a wonderful rhythm to the movement of life during a season’s change. You are fortunate that you watch and listen. More than that, you feel the pulse of the seasons. Have you ever read Ecclesiastes 3: 1-8? Your post reminds me of that passage. He was sitting amongst his kind, in charge I would say, in a field at the edge of a nearby Nat. Park. The ears say he is wary all the same. I have read it now, there is much wisdom in the old book. Yes, one season goes. Snow is nearly melted, lake Näsijärvi soon in open water. And then? Another season of wonder; the green shoots we haven’t seen for months except on grocers shelves. Birds are arriving; heard cranes today. Time of awe, time of wonder. And of the unknown. Thanks for writing.